The ZOOM! chairside whitening system is a scientifically advanced, safe and effective, tooth whitening procedure. 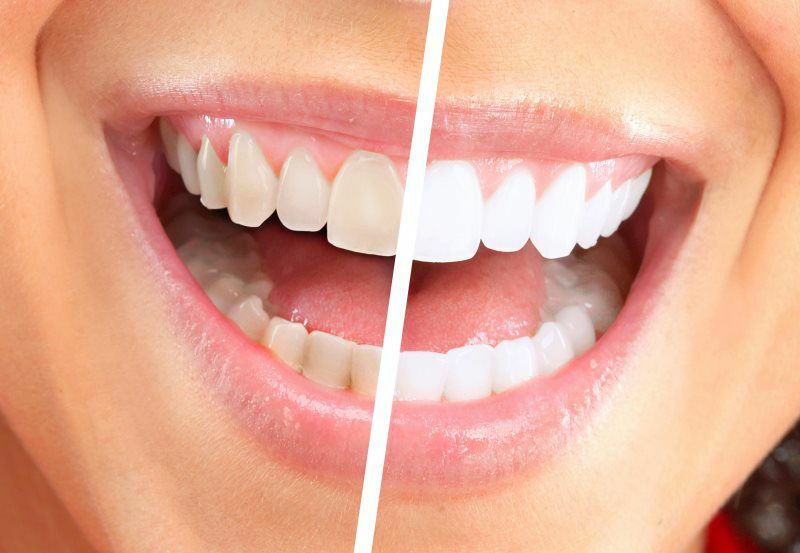 Your teeth will become dramatically whiter in just over an hour. It is an ideal procedure for anyone looking for immediate results. The convenience of ZOOM! In comparison to days of wearing trays or strips makes it the perfect choice for the busy individual. The procedure begins with a short preparation to cover your lips and gums, leaving only your teeth exposed. The dentist then applies the ZOOM! whitening gel, which is designed to be used with a specially designed light. The ZOOM! light and gel work together to gently penetrate your teeth, breaking up stains and discoloration. The complete procedure takes just over an hour. Following the preparation period, there are three cycles of 15 minutes each, for a total of 45 minutes, to complete the procedure. These kits contain customized bleaching trays that are made from models of your teeth and whitening gel containing carbamide peroxide. A small amount of the gel is placed into the trays and the patient then wears the trays for a prescribed amount of time each day until their teeth have reached the desired shade (usually about two weeks). Yes. Research and clinical studies indicate that whitening teeth under the supervision of a dentist is safe. It is not recommended for children and pregnant or lactating women. To keep your teeth looking their best, we recommend brushing and flossing daily, along with regular professional cleaning. At home bleaching trays can be made for occasional touchups to keep your teeth their brightest. It should be noted that tooth whitening treatments will not change the color of dental materials used for bonding, veneers, and crowns. Hydrogen peroxide is the active ingredient in the whitening gel. As the hydrogen peroxide is broken down, oxygen enters the layers of the tooth structure (enamel and dentin) and bleaches the colored substances. The ZOOM! light aids in activating the hydrogen peroxide and increases the effectiveness of the whitening gel. Sensitivity during and/or after treatment may occur with some patients. The ZOOM! light generates minimal heat which may be the source of discomfort. Minor tingling sensation may be experienced after the procedure which usually lasts about one day. Using sensitive toothpaste (with potassium nitrate) for two weeks before your ZOOM! whitening appointment should help reduce sensitivity. There are a variety of whitening methods that patients can employ to revitalize their smile. Read more about the options available to you and what each entails. Take your first step to feeling good, looking great, and making a memorable impression every time you smile.